We know you've got a lot to say to Fagex, and we also know there are lots of things need to be updated in RuneScape. 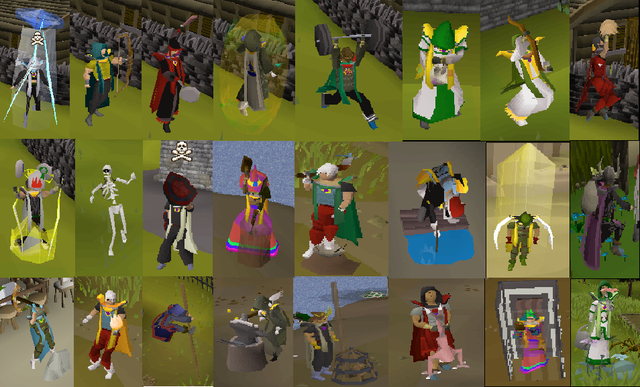 There is EoC, Treasure Hunter (formerly SoF), 2007scape, bonus EXP, easy EXP, price manipulators, anti-social community behavior, new tradable rares, Fagex problems, Power to the Players, and the list goes on and on. Which one do you hate most? Through all those years’ updates, most tradeskills are no longer profitable even in the very high levels unless you do full gathering on your own, but even then it’s more profitable to sell the raw stuff then to make goods with it. Trace back to 2004, you can even make a small profit off of arrows, and suddenly they were not as profitable any more. Now it’s just grind out gathering skills and if that doesn’t get you 99 in the production skill just boss your way to nice enough drops, sell those, buy whatever else you need. Why farming when you can just buy the herbs you need or just woodcutting for the logs you need? Why runecrafting when most monsters drop runes and they're so easily bought from the grand exchange? Why fletching when you can buy any bow you want and the best bow you can even fletch is powerful compared to the best bows available? Why Smithing other than to cant repair your armour? Why fishing when you can buy all the fish you need from the GE so easily and when so many people reply mostly on pots? Ever since EXP became monumentally easier to obtain, there's been a belief of "no exp waste". It has led to the deaths of many minigames and events, where players had once gone to waste time or have fun. The "no exp waste" mantra takes a lot of the fun of exploring out of RuneScape. Instead of varied locations with people discovering new things, people flock to train and leave things like Fist of Guthix and Dueling area to the dogs. Guys, RuneScape also need time to grow up, and your opinions will definitely be helpful. Don’t be cry. Speak out your different opinions on Rs3hot Facebook Page, and there will be some Free Gold for you!